A 27-year-old woman remains in a serious but stable condition in hospital following a car crash near Gatwick Airport. A police spokesman said the front seat passenger from Lancing suffered serious injuries to her pelvis and chest when the silver Nissan crashed in Larkins Road at around 9.30pm on Monday (September 14). 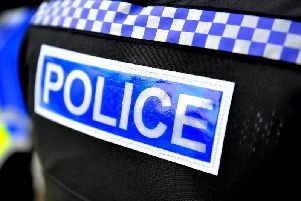 The driver, a 23-year-old man from Doncaster, and two passengers, men from Haywards Heath aged 22 and 28, suffered minor injuries when the car collided with a crash barrier and came to rest on a lamp post and security fencing. PC Craig Broxton said: “We would like to speak with anyone who actually witnessed the collision or perhaps anyone who saw the car driving around the Gatwick area beforehand.